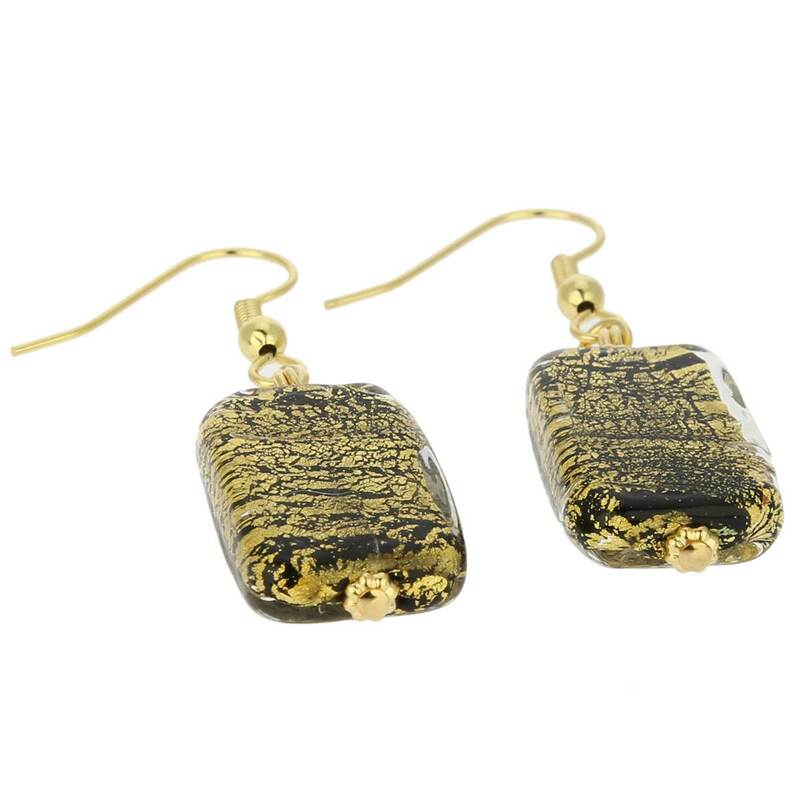 Murano Earrings | Vivaldi Murano earrings - Black and Gold. Made in Murano, Italy. These beautiful Murano earrings designed and hand-made by experienced Murano glass masters channel the enchantment and subtle golden glow of a magic Venetian night. 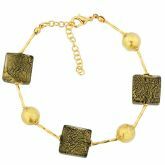 A highlight of any jewelry collection, they will add a gorgeous Italian accent to any outfit and will make a woman feel unique and special. 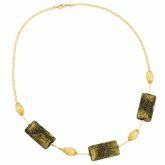 The exquisite hand-blown rectangular beads feature Sommerso Murano Glass making technique with a layer of black glass infused with 24K gold foil under a layer of clear glass for classic and opulent look. The length of the entire earring is 1 1/2 inches, while the size of the rectangular bead is 3/4 inch by 1/2 inch. 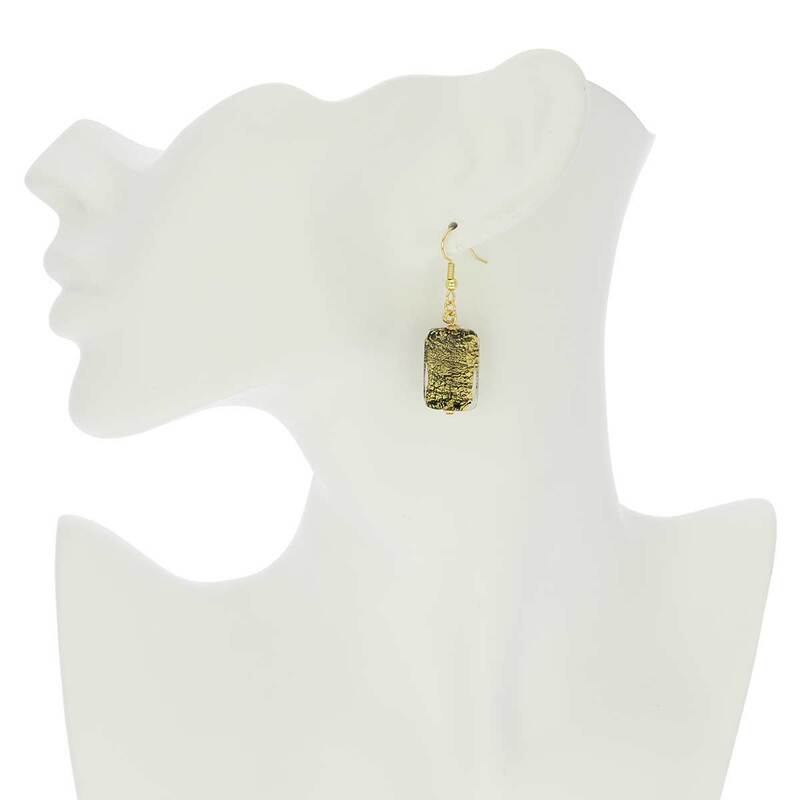 The ear hooks are made of gold-plated surgical steel for all day allergy-free comfort and durability. I bought these earrings because they go nicely with the Sibilla pendant I purchased; very beautiful! I purchased these earrings to comlement the Vivaldi Murano Necklace that I gave to my daughter for her birthday. 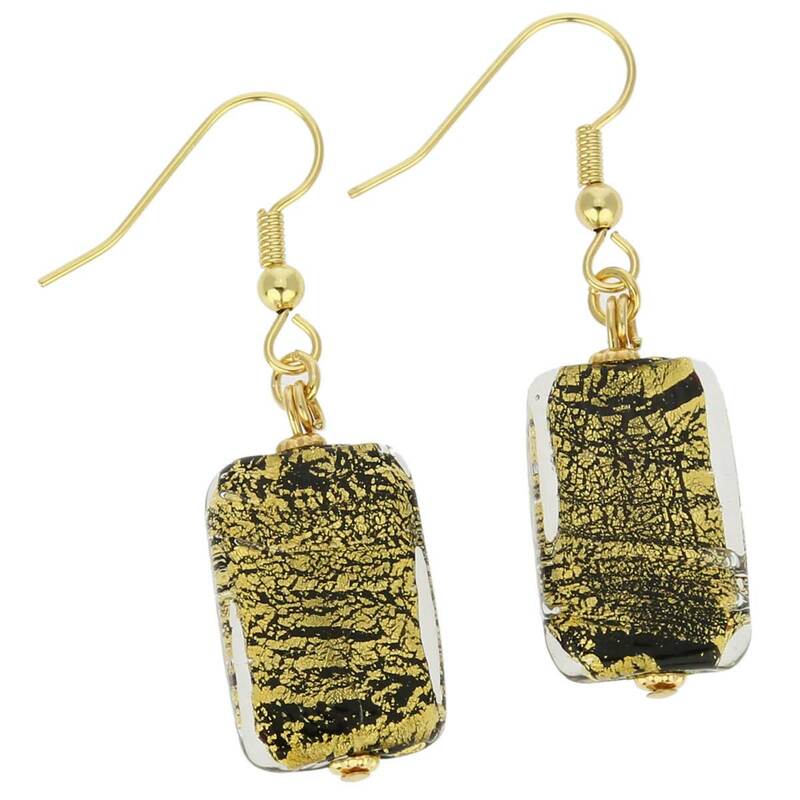 Currently viewing: Murano Earrings | Vivaldi Murano earrings - Black and Gold. Made in Murano, Italy.